"We approach each and every project with a holistic vision providing our clients with full service design from start to finish." Katie dreams of English gardens and new color combinations when not thinking about what her next meal will be. Her exotic food cravings are only increased by watching far too many Anthony Bourdain travel shows with her man, two dogs, and Sherman the kitty all on one comfy sofa in Old Metairie. 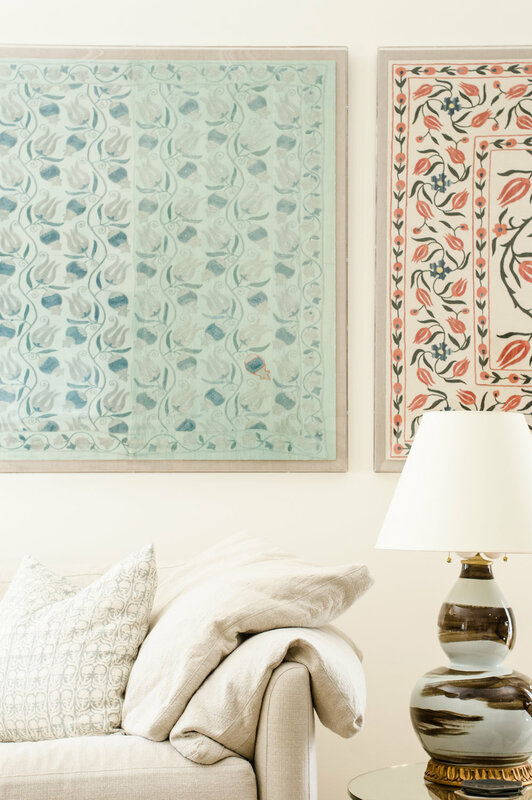 Katie's passion for design and art of all kinds runs deep, but her ultimate love is comfort and laughter. Thankfully, she is surrounded by all of these things in LKI's wonderful new home on Magazine Street, full of talented, warm and hilarious women. While hard work is at her core, time at home - surrounded by the people and things she loves - is most important to Jensen. Nestled in a tiny shotgun in the Lower Garden District, Jensen has spent the last four years renovating her home, running the neighborhood with her pups, and spending time with her family who are oh-so-conveniently located next door. With her beau and three kiddos just Uptown, two dogs, one cat, and a crawfish boil surviving turtle, her family is diverse and absolutely never boring. When she's not busy working or spending time with these guys, a good meal or cocktails with a girlfriend is all this Louisiana native needs. Now, with Sunday Shop and LKI Studio just down the street, her life in the LDG just got a little sweeter, and her family a little fuller. 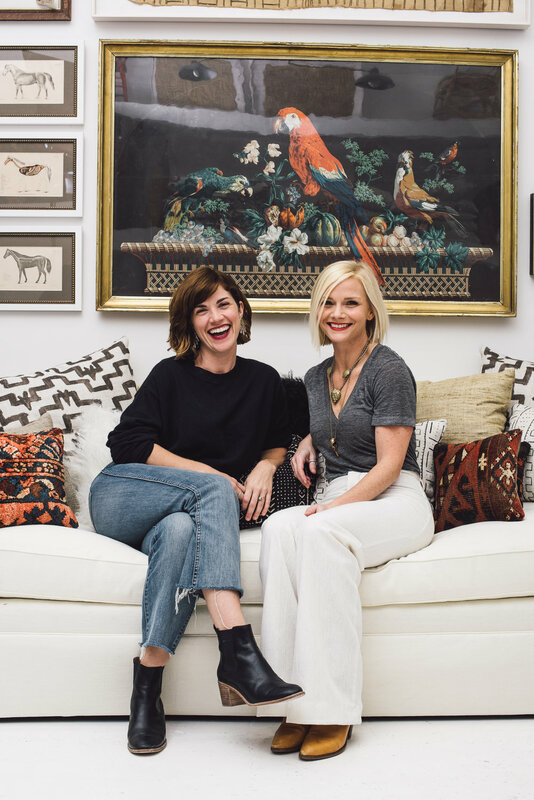 Katie & Jensen are passionate about good design, and how it improves our daily lives; from the perfect paint color to the candle that makes it feel like home. Sunday Shop is a direct extension of LKI - bringing you some of the best in furniture, textiles, fine lighting, and art. The design pair wanted to bring a store to New Orleans that would make it easy for people to achieve the look and feel of a unique, easy, and stylish home all in one place: Sunday Shop. At Logan Killen Interiors, the goal is to create spaces that enhance your home experience and inspire you everyday. Being that Sunday Shop was curated and designed completely by Katie and Jensen, customers can really take advantage of their aesthetic and professional expertise by shopping at Sunday Shop, and outfitting their own spaces with the special treasures you'll find there. VISIT OUR FOUNDERS' DESIGN WEBSITE TO SEE MORE EXAMPLES OF THEIR PROJECTS.